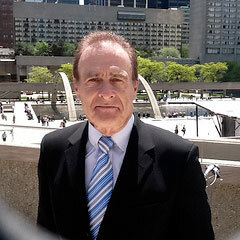 Norm Kelly has been in the news recently. And for some pretty dumbass reasons. The Scarborough Councillor and Ford ally is the chair of Toronto's Parks and Environment Committee. Which, by the obscene and twisted logic of Ford Nation, means that he is pro climate change. As in, he's not just a skeptic, he actually thinks it'll be awesome. "I was talking to one climatologist who said we could end up having the climate of Tennessee," he said in this piece in The Toronto Star. "That ain’t bad." And Torontoist published another one of his absurd quotes yesterday: "In fact, they're saying life is going to be a little more comfortable in this city." But that's even if climate change is a real thing. Which Kelly doubts. Forget the fact, pointed out in committee, that only 24 of 13,950 peer-reviewed scientific articles related to the subject rejected the notion of climate change caused by human beings. Our Councillor Kelly has an answer for that: “We interpret the past. We imagine the future,” he says, pretty much dismissing the entire notion of predictive science in one fell swoop. To be fair though, the future isn't really supposed to be Kelly's area of expertise. He's much more of an "interpret the past" kind of guy. Before he got into politics, he was an historian. In fact, he won a Governor General's Award for his work in helping Pierre Berton to research his book, The National Dream: The Great Railway, 1871-1881. He's got a post-graduate history degree from Queen's and used to teach history at Upper Canada College. But judging from some of his recent comments, I'm no fan of his ideas about history, either. Back in November, City Council voted in favour of proclaiming the 75th anniversary of the Nanking Massacre. It was a horrifying chapter in the war between Japan and China in the 1930s. After the fall of the city, hundreds of thousands of Chinese civilians were raped and murdered by the Imperial Japanese Army. It is, of course, an event with special significance for Toronto's sizable Chinese community. And since the City is in the regular habit of proclaiming such things — we've had Hiroshima Day, Bob Marley Day, Red Tape Awareness Week, even Foursquare Day — you wouldn't think that Councillor Kristyn Wong-Tam's motion to officially recognize the anniversary would be controversial at all. But it was. According to this article by Torontoist (which is where I first learned about all of this), City staff suggested that the proclamation would be a bad idea (citing the Nanking Massacre's Wikipedia page, which mentions that some Japanese people deny the widespread interpretation of the event). The Mayor initially decided to follow the staff's advice, and the motion had a hard time even getting to Council in the first place. But in the end, all of the Councillors decided to support it. Even Kelly, apparently. But that didn't stop him from making some ridiculous comments about it. For one thing, he seems to have privately told Wong-Tam, who was born in Hong Kong, that "it's time for you guys to move on." And he followed that up with public pronouncements. The massacre, he declared, is "something that happened purely in an Asian context between two Asian societies... I’m not sure Canadian society is at a point where it has to be instructed about these things, because I think we have values that preclude being attracted to behaviour like that." This from a guy who used to teach a course in Chinese history at UCC. And who won his Governor General's Award for researching a book that included the story of the Chinese immigrants who built our national railroad. Meanwhile, Valerie Deacon, a Torontonian military historian teaching at NYU, argues on her blog that understanding the Nanking Massacre is an important part of understanding the story of the Second World War — an Asian chapter we've been too quick to overlook in North America. Canadians, she also points out, do still have something to learn about militarism and race and gender. And that remembering the historical lessons we have learned is a never-ending process. "If Canadians have values that 'preclude being attracted to behaviour like that,'" she writes, "it is only because we have spent decades trying to teach our young people to 'never forget'. It is because Holocaust survivors mustered the courage to speak about their experiences; because historians followed leads to expose crimes of the past; because legal experts worked to get the machinery of justice moving; because curriculum, public programming, and private groups all sought to remind us that history can repeat itself." It seems silly to suggest that we've finishing learning — or that we have nothing to learn from others. In fact, the success of our city owes a lot to our multicultural heritage. Diversity in Toronto isn't just about great restaurants and a summer full of festivals. It's also about having neighbours and co-workers and teachers and artists and in-laws who expose us to lessons learned all over the world. Torontonians have a collective memory that doesn't just include events like D-Day and the fur trade, but also the Irish Troubles and the napalming of Vietnam, the Parisian protests of 1968 and the Hungarian Revolution of 1956, the Battle of Stalingrad and the bloodbath in Tiananmen Square. It's one of our greatest strengths. It helps us to remember the importance of peace and mutual respect. We are damned lucky to live in this place where we have the opportunity to learn so much from so many different people. And I sure as hell plan on making use of that opportunity for the rest of my life. Even if some Governor General's Award-winning historians would rather we just moved on. Photo of Norm Kelly via Open File, RIP.